Wildlife Bear in Gift Box, by Steiff is from the Steiff Classic collection and made in beautiful cinnamon mohair. 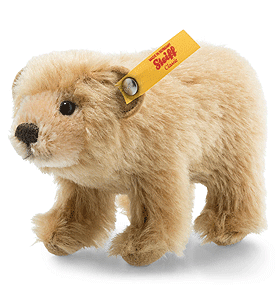 This 12 cm tall Wildlife Giftbox bear is amazingly cute! He is made of the finest mohair and is a charming creature standing on all fours with a cinnamon-coloured pelt. An intricate airbrush technique is used to embellish the corners of his eyes, his mouth and the bridge of his nose. The Wildlife Giftbox bear is absolutely perfect as a gift for those who appreciate lovingly designed creatures from the animal kingdom. 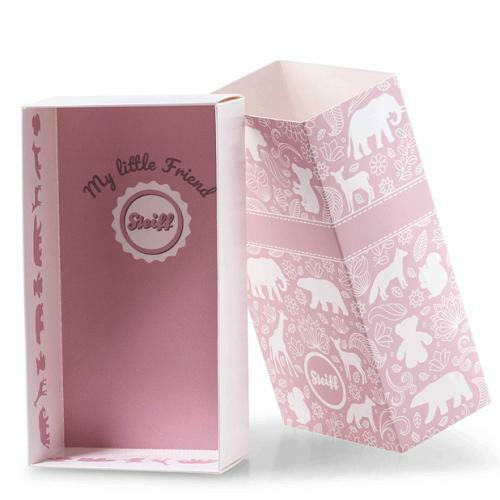 The lovingly crafted gift box with animal print design is a perfect match.